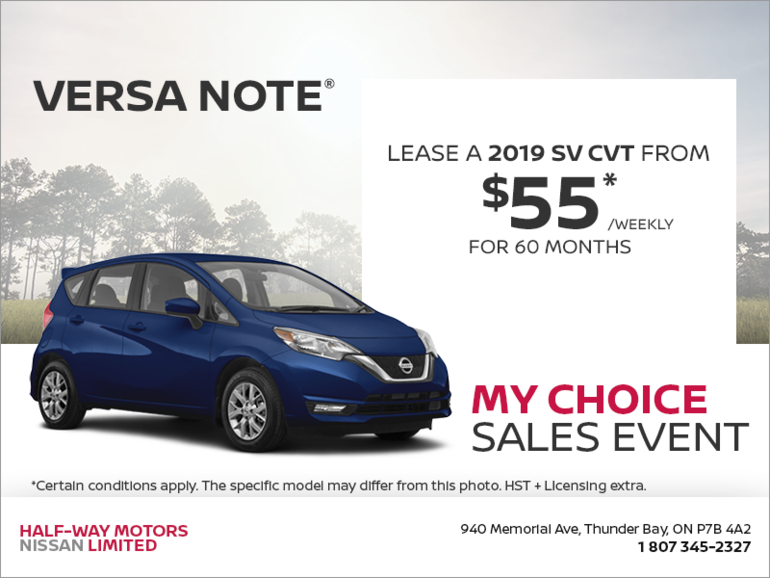 Home > Special Offers > Sales > Get the 2019 Versa Note Today! Lease the 2019 Versa Note SV CVT from only $55 weekly at 2.9% APR for 60 months with $0 down. 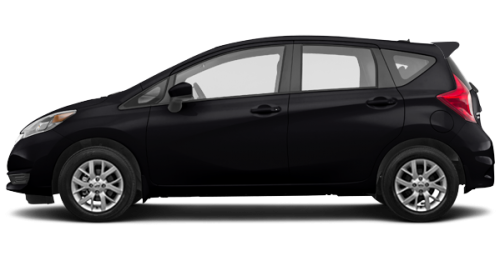 *Representative monthly lease offer based on a new 2019 Versa Note SV CVT at 2.9% lease APR for 60 months equals monthly payments of $237 with $0 down payment, and $0 security deposit. Lease based on a maximum of 20,000 km/year with excess charged at $0.10/km. Total lease obligation is $14,223. Lease Cash of $500 is included in the advertised offer.